Pros: Although the Philips Lumea Precision Plus SC2003/11 is a bit more expensive than other Intense Pulsed Light products on the market, it has had incrdedible reviews, and thats for a reason. Cons: The only real con with the Philips Lumea Precision Plus SC2003/11 is the price, it may be quite an investment but we feel the results are worth it. 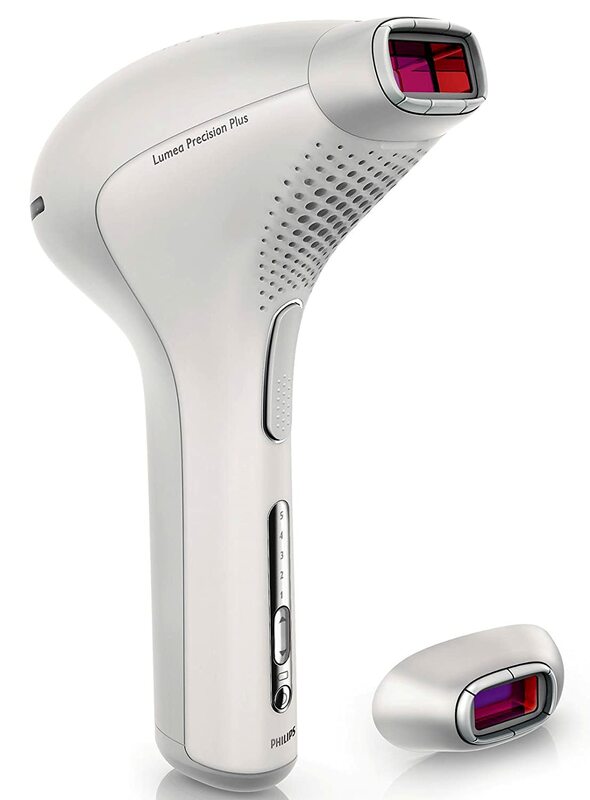 The Philips Lumea Precision Plus SC2003/11 is one of the best hair removal solutions on the market today. Once only possible paying thousands of pounds in a professional salon or spa, the technology is now readily available to use at home – the advanced Intense Pulsed Light technology is incredible. Philips worked closely with dermatologists and came up with this solution, an easy, effective and most importantly safe way to remove those unwanted hairs. Being on the more luxurious side of hair removal the Philips Lumea Precision Plus commands a fairly high price tag – but as the old saying goes, you get what you pay for. The results are truly incredible. One of the biggest plus points to the Philips Lumea Precision Plus is the pure speed in which you see results. Studies have been done and we’ve heard from numerous users that hair reduction, not just a little but significan hair reduction can be seen in as little as two fortnightly treatments! The cherry on the cake being once you have your desired results, which should only take a couple of months, you then only have to repeat the treatment every four to six weeks to maintain your results, so simple, so effective. Due to the Intense Pulsed Light technology being relatively new to the home user there is always a question mark over the unknown. Is it safe? .. Of course it is, as I mentioned early Philips have put a huge amount of research in to bring us a professional salon based technology into our homes but the Lumea is equipped with an integrated UV filter which protects your skin from the UV light. Also, boasting safety ring system with prevents unintentional flashing, this really is a safe product to use. There is also an extra integrated light filter which enables safe and convenient use when using the Lumea on your face, hitting those determined target areas on the upper lip, chin and sideburns – whilst leaving no unwanted rashes or reactions I might add. With five light energy settings you can bet that you’ll get a gentle but effective treatment too. It just takes a little trial and error to find the best setting that works for you, you can always chop and change to a lower setting should it get a little painful, but unless you find tingles painful, you won’t really feel much at all. It’s safe, its easy, its quick and the results are fantastic. Although the Philips Lumea Precision Plus has quite the price tag the results do speak for itself, you get what you pay for. The agony of waxing, the mess of creams, the time a regular razor takes. The Philips Lumea Precision Plus really is the latest hair removal technology, and we can’t recommend it enough.